Somalia has had a legitimate government since 2012 and although Islamist insurgents are still active, it is relatively stable. But there is tension between Mogadishu and semi-autonomous regions such as Puntland. The mood in Garowe, capital of Somalia's semi-autonomous region of Puntland, was festive. The crowd had tensely awaited the arrival of leading public dignitaries including the President Abdirahman Mohamed Farole, who delivered a speech. The ceremony was held to mark the completion of 1,200 new dwellings for displaced persons which were built by an international aid organization. 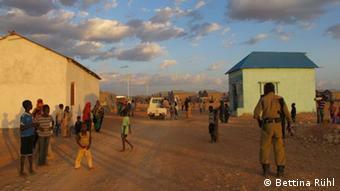 Thousands of refugees from war-torn southern Somalia have sought sanctuary in Puntland. President Farole arrived punctually. He said a few words of thanks to the aid organization and the donors and then promptly changed the subject. The government in the Somalia capital of Mogadishu was violating the constitution, he maintained. They had been agreement over the creation of a Somalian federal state, but Mogadishu was preventing development in the regions within that federal framework. If Mogadishu did not mend its ways, then the conflict in the country would persist. The president then departed the scene as abruptly as he had arrived. course of the conflict, Puntland became semi-autonomous. It does not, however, wish to cede completely from Somalia, preferring instead to remain part of the country and contribute to its recovery. It is prepared to recognize the authority of the central government of President Hassan Sheikh Mohamud, but insists on extensive political space of its own. The authorities in Puntland maintain that Somalia's constitution envisages the creation of new republics within the federal framework. Mogadishu insists that the opposite is true, namely that the constitution puts priority on a strong central government. Cedric Barnes from the International Crisis Group says both sides are in the right under the present provisional constitution. "This problem arose because a number of key questions were left unresolved while the Somali government was being formed," he said. "We are now paying the price for this and the central government and the autonomous regions will now have to sort out the issue," Barnes added. The problem is becoming acute in the south of the country. In 2011, Jubaland formed its own autonomous authority, roughly modelled on Puntland. 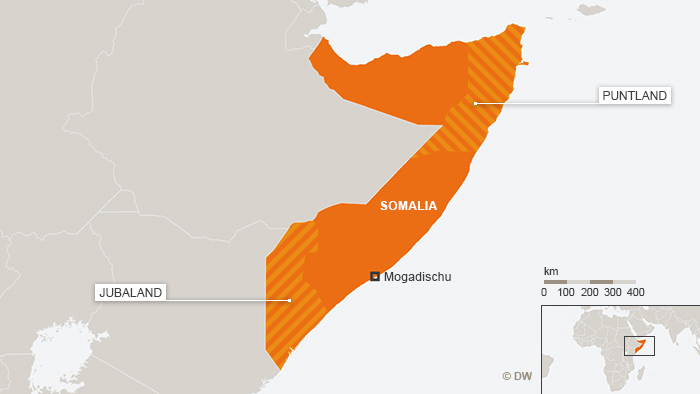 Jubaland, which borders on Kenya, was previously controlled by Islamists. Mogadishu disputes Jubaland's autonomous status.. But the conflict over Jubaland and its key port city of Kismayo doesn't end there. 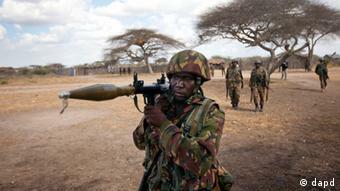 The coastal region, which looks out on to the Indian Ocean, has been one of East Africa's trouble spots for years. Following the expulsion of the Islamist militants al-Shabab, Ahmed Adobe, a former Islamist governor of Kismayo, has declared himself president of Jubaland. The central government in Mogadishu does not recognize his claim to the post. In a leaked letter to the Kenyan government, Mogadishu accused Kenya of backing Madobe against his rivals. Such allegations would imply that Kenya was partially to blame for fighting in Kismayo at the beginning of July in which, according to the United Nations, more than 70 people died. "The worst of this conflict over Kismayo and Jubaland is that it is clan-driven and is therefore very emotionally charged," said Barnes. "It will be very difficult to defuse," he added. Clans are a decisive factor in Somali politics. There are five big clans in the country. 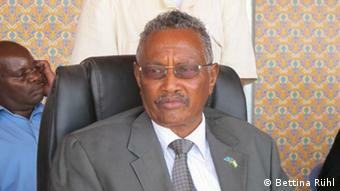 Madobe, the aspiring president, belongs to a sub-group of the Darod and in Puntland the Darod are in the majority. If he can consolidate his hold on power in Jubaland, the Darod will have more influence than any other clan. In the central government in Mogadishu, there are a variety of allegiances, but the majority belong to the Hawiye clan, President Hassan Sheikh Mohamud included.